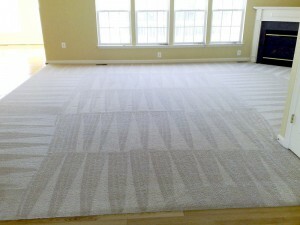 Believe it or not the average Americans carpet only lasts 8- 10 years. Whether it’s from wear and tear, staining, or just bad décor you are most likely to get rid of you carpet within a decade. That’s not to say that I don’t see households with twenty year old carpet. Vacuuming is recommended daily for traffic spots and getting to a stain is critical to avoid irreparable damage once it soaks in. Lastly, put a good foundational pad under your carpet and you should see its life extended.